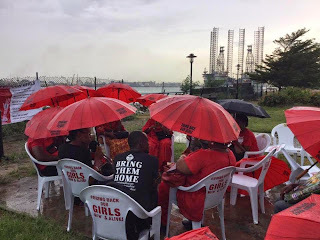 I was invited by the Lagos Chapter of the Bring Back Our Girls (BBOG) campaign to join them at the Marina Waterfront on Saturday, 23rd May 2015, from 11 am to 2 pm. 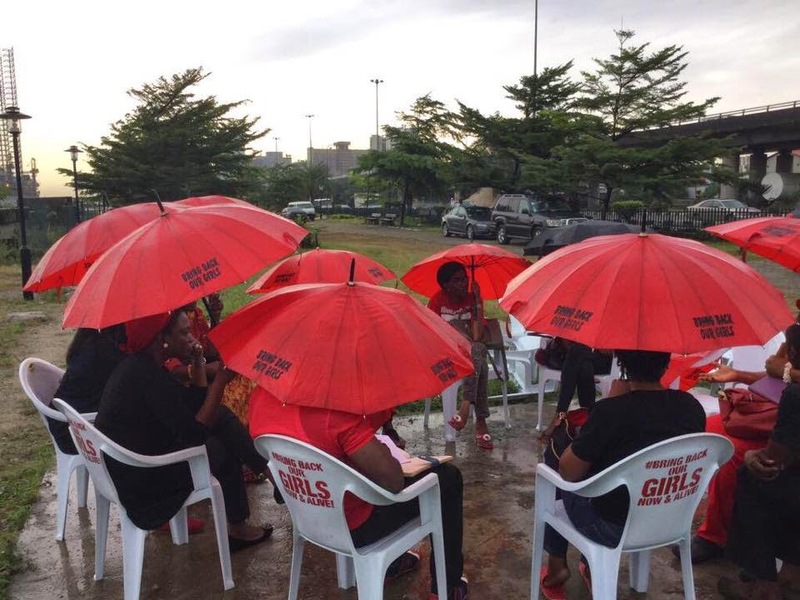 We began with a meeting to discuss what we would like to see the incoming government do about our Chibok Girls. Several suggestions were made, which will be harmonized with those of other BBOG groups and shared with the public in due time. I spoke at 12 noon. We were blessed with lots of rain from start to finish. There was also a fuel scarcity that must have prevented many people from coming. However, it was inspiring and wonderful to be in the midst of such a committed, tenacious, socially committed fellow citizens. The rain was so much that I abandoned my ipad, which had my prepared talk, and I ad libbed. Here below is the talk, which has a lot of ideas that I'd previously expressed, an indicator of my unrelenting stand. It also includes photos that were kindly taken by Habiba Balogun and Ayo Obe. I copied Ayo's from her twitter account. Good Morning. I thank the Lagos Chapter of the Bring Back Our Girls (BBOG) campaign for inviting me to address this august body of some of the most committed Nigerians to the deepening of democracy. I am encouraged to be among fellow citizens who are empathetic, dedicated to a cause concerning people with whom they have no personal connection or relationship, and resolute in their unflagging commitment to the cause. Although I am very sad that our Chibok girls are not among the hundreds of women, girls and children rescued thus far, I am very hopeful that they will be rescued. I join my voice to yours in exhorting the Nigerian government to redouble its efforts to rescue all abducted Nigerians, including our Chibok Girls. It is good that I’m meeting for the first time, many people with whom I’ve communicated virtually, from whom I’ve drawn strength and hope as our girls’ rescue now enters into the 404th day. How I wish we were all here to celebrate the release of our abducted Chibok girls and all our fellow citizens who still remain in Boko Haram captivity! This is not the case yet, but our demonstration is an expression of our hope that their liberation will be accomplished sooner rather than later. 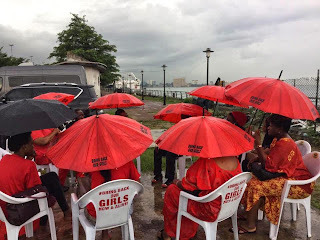 We all are familiar with the horror story: On April 14, 2014, armed militants from the insurgent group, Boko Haram, stormed female school dormitories in Chibok, Borno State, Nigeria. The militants forcefully abducted almost 300 young female students in the middle of the night, stole supplies and burned the school to the ground. 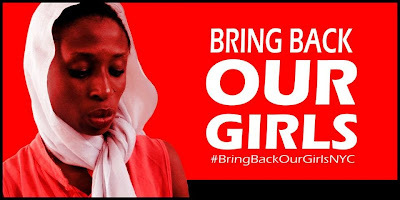 Other women and girls, boys and men have been abducted before and after the April 14th abduction, and Boko Haram is still on the rampage, although the AU’s multinational force and the use of mercenaries, combined with the arming and outfitting of the Nigerian military have now limited their audacious use of terror. 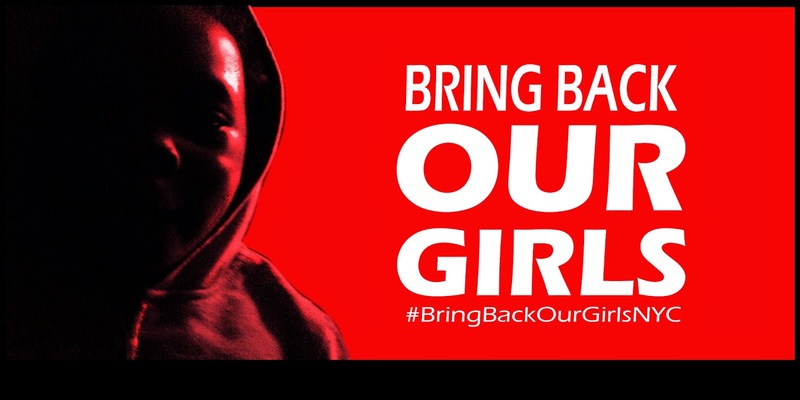 According to the Presidential Committee, of the 276 girls abducted from Chibok, 57 escaped but 219 are still missing. Ayo Obe is seated to my right. 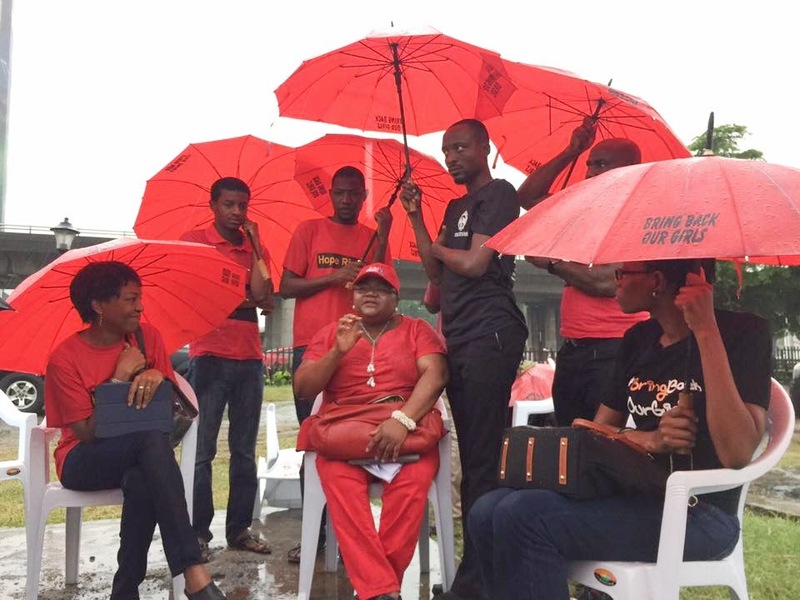 The young men from Chibok are standing with umbrellas, also seated to my left, is a member of BBOG Lagos. We also know that many communities have been attacked and thousands have been killed. There are also millions of Internally Displaced Persons and refugees as a result of these predatory attacks. One of the most unfortunate results of the abductions is the paralyzing effect it has had on Nigerian citizens in Northeastern parts of the country, who are afraid to engage in their day to day activities, including schooling. Now I'm wet but still talking. 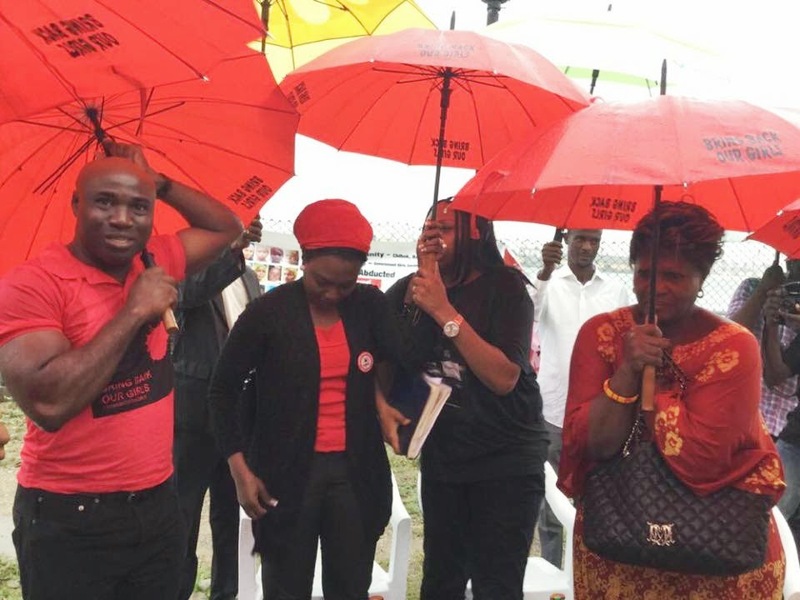 404 days after the Chibok abductions, given recent media reports of the rescue of hundreds of abductees we now know that many more women, girls, boys, and even men were abducted. 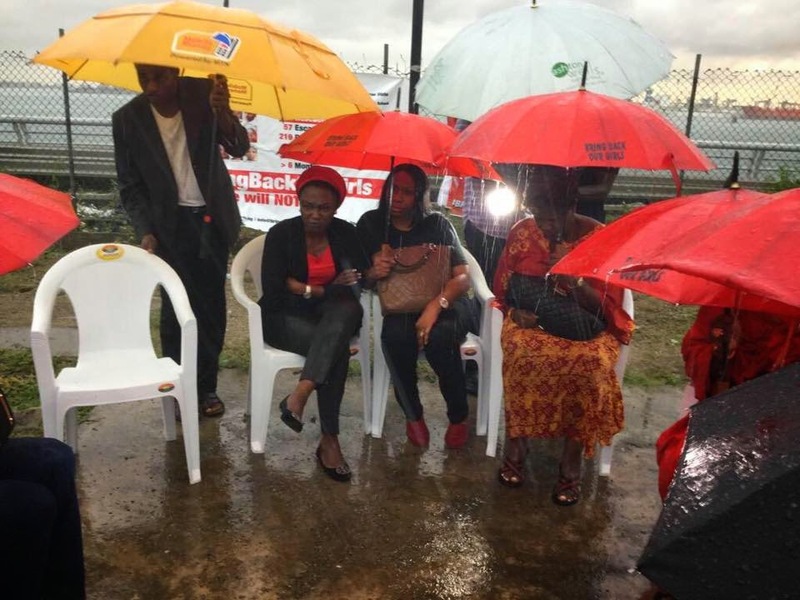 Although hundreds have been rescued, our Chibok girls remain in captivity. 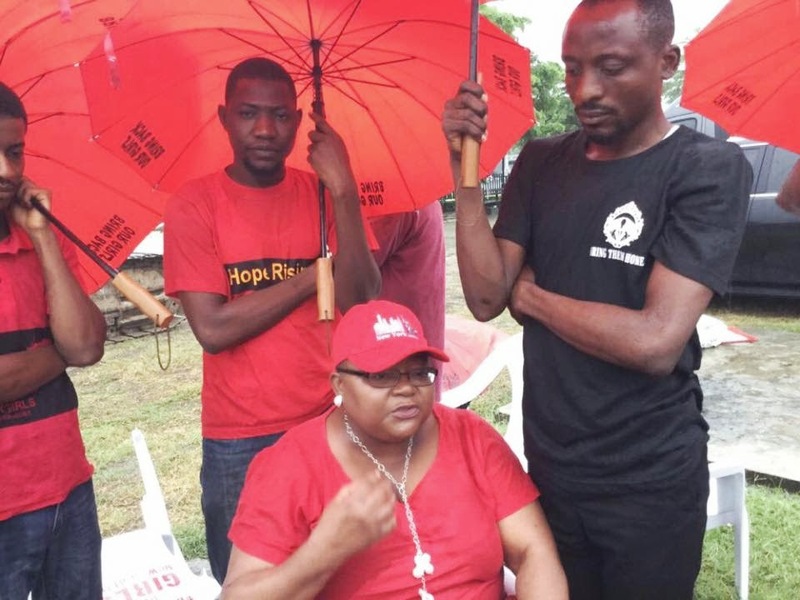 We cannot help but wonder about their fate and that of many other abducted fellow citizens who have been forcefully separated from their families and communities. Although the Nigerian government informed its citizens and the world, around May 26th 2014, that it knows the location of the girls, and although there were at least two announcements of the imminent release of the girls, only the 57 who managed to escape by themselves are free. Most of our girls remain in captivity and no additional information has been forthcoming. I believe it is unacceptable that we do not know how many Nigerians were abducted by Boko Haram, nor do we have any demographic information about them that would enable us to know when every abductee has been rescued. The ability to run for office and vote in free and fair elections are considered bedrock democratic principles. Nigeria’s bellwether election has come and gone. It produced a result that challenged "stomach infrastructure" politics that stymied the incumbent’s expectations of winning votes through straightforward material inducements for vote-type transactions. It is also unusual in Nigerian politics that the incumbent conceded victory to the president elect, who had run for all elections since 1999, when Nigeria began to travel down the path to the 4th Republic. This makes his 4th try. He's clearly tenacious and purposeful. He also learned from past mistakes in choice of running mate, pronouncement, organizing grassroots support, seeking support all over the country, and securing financial resources to fund the campaign. The winner's war chest was minuscule compared with the loser's. The winning coalition also have some troubling elements, including some former political elites who were kleptocratic, so we'll have to see if the president elect has the capacity to hold them in check, but I also don't think he would have won without those "masterminds" and their resources, including their considerable strategic cunning abilities. Wonderful camaraderie and serious discussion despite the rain. These past elections were extraordinarily important. 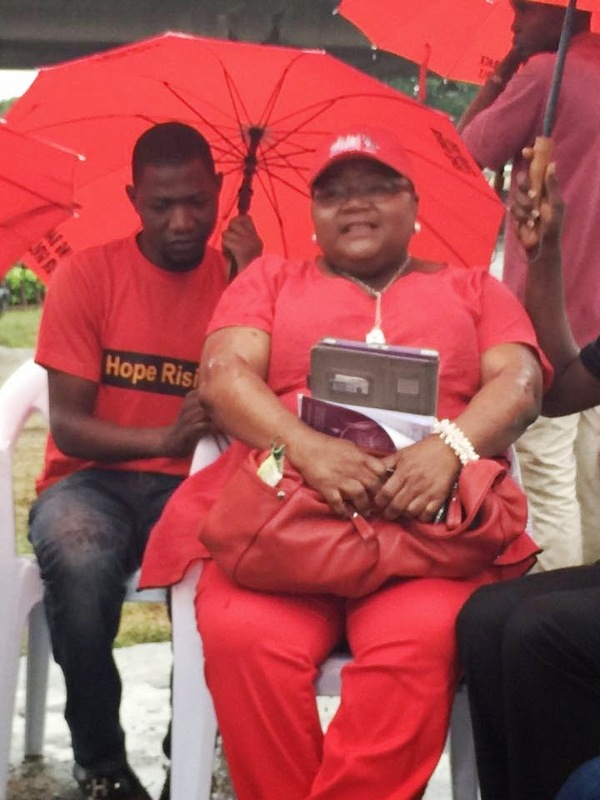 Thus far, they signal that Nigerian democracy is maturing. 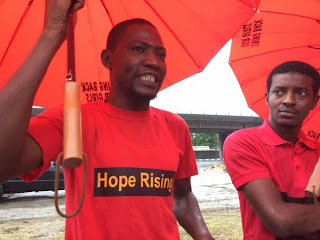 But at the same time, this country is at a crossroads--the highway to ruin, which is easy to travel, and the twisting, difficult road to reaching its full potential, which all Nigerians, or at least a critical mass of them, would have to commit to walking, for any kind of meaningful change to occur. The president elect has a problematic history. He was a harsh dictator when he first led the country. We'll have to see whether he truly understands how to be democratic. Besides, we have to encourage and put pressure on him and his administration to respect the values and principles of democracy. This is our duty as citizens. Another problem is the cabal of venal elites that's part of the losing coalition and whether they are weakened enough to allow this administration to succeed. It also remains to be seen whether the rapacious elites in the president elect's coalition would not unite with their natural allies on the other side--the aforementioned venal elites--in order to protect their narrow interests. It is also the duty of all citizens to make sure that we contribute to fashioning institutions that curtail the influence of venal elites. This is necessary if our democracy is to flourish. 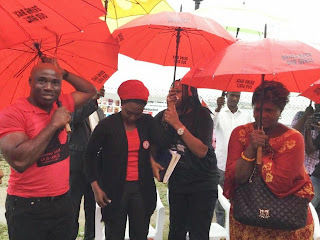 Aisha Oyebode to the left, Habiba Balogun in the middle, Yemisi Ransome Kuti to the right. The President elect and Vice President elect expressed resolve to rescue the Chibok girls, and bring Boko Haram to heel in Nigeria's tormented Northeast. I believe them. I also promise to keep reminding them of this commitment until all our abducted fellow citizens are rescued and there is peace in this country. 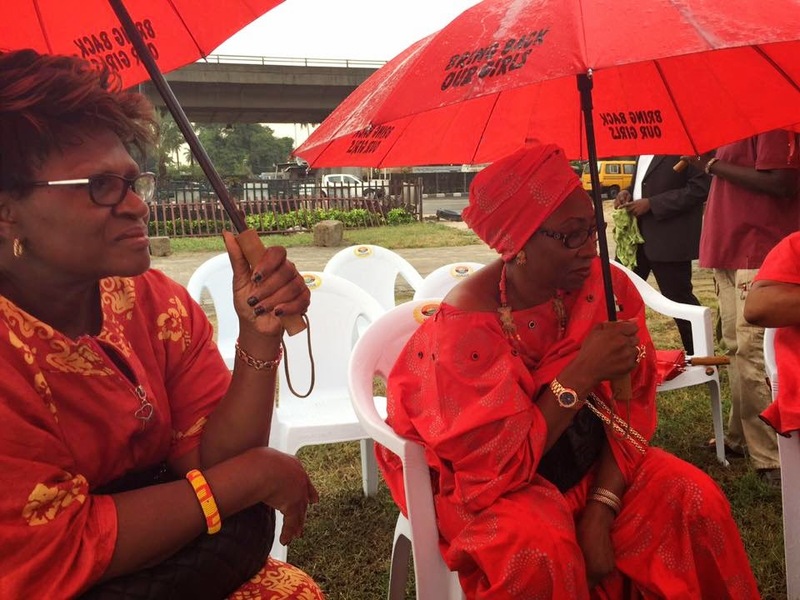 The tenacity and unflagging dedication and commitment of the BBOG Lagos Chapter is also clear. The incumbent President in my opinion, never inspired confidence about this, except in what seemed to be a cynical last minute ploy to win votes. More annoyingly, the PDP so blatantly rigged, used violence and intimidation, and took Nigerians for fools. This election result symbolizes Nigerians’ rejection of these tactics, but maybe even more importantly, the triumph of a combination of technology and management by an honest broker (Prof. Attahiru Jega) which is also extraordinary in Nigerian politics. We seem to be seeing a somewhat "new day" in Nigeria. Let's hope it lasts. (1) The Federal Republic of Nigeria shall be a State based on the principles of democracy and social justice. This is in line with the norms about state practice in the world. Standing up and demanding that the state respects the constitution, that it performs this fundamental obligation, is a democratic act. Thus, resolving to stand until our girls are rescued and reunited with their families is not only brave, empathetic and admirable, it is essentially democratic. Hopefully, our stand will inspire more of such courageous action by other Nigerians who tend to be very pessimistic about the chance that anything they do will motivate the government to respond with corrective and effective policies and strategies that address a situation. Young men from Chibok who are now IDPs in Lagos. To the left is Mohammed. By abducting the Chibok girls and other girls, women, boys, and women, and through the gruesome murders and assassination of citizens of Nigeria and its West African neighbors, Boko Haram is successfully exploiting the weaknesses in the Nigerian political system to push its agenda of forcing its own warped perspective about the proper observance of Islam on all the people it encounters. Boko Haram brooks no resistance. Disagreement with it is met with overwhelming force that aims to obliterate opposition. It challenges the traditional and post-colonial state, as witnessed by its destruction of state-owned infrastructure, battles where until the multinational forces were deployed by the AU and the incumbent administration decided to mobilize and confront it in a more determined manner, it deployed superior firepower against state security forces. It’s safe to say that the terror and mayhem inflicted on the Nigerian people by Boko Haram are unprecedented in the annals of Nigerian history. The most serious aspect of the situation that Nigeria now faces is the weakness of the state and the inability or unwillingness of its custodians to prioritize the security of Nigerians. This enabled not only Boko Haram, but other militia groups to thrive, and permitted them to act with impunity. It is the absence of the state and its lack of awareness of its most fundamental reason for being that allows an insurgent militia to strike at will, mostly unchallenged, to wreak havoc and mayhem in a region of the territory under its sovereign control that the state itself says is “very remote”. To the contrary, sovereignty over an area means that it can never be too far to be availed of the same basic protections as the capital, otherwise, the state might as well discontinue its existence. Thus, the incapacity of the state to challenge Boko Haram for so long, and bring it to heel in a speedy manner, is a key element of the Nigerian predicament. Inequality is a huge challenge to our democracy, and a most steady contributor to the Nigerian predicament. As long as we have a huge divide between the haves and the have-nots, and an indifference by the wealthy toward the plight of the poor, the resentment and anger that gives Boko Haram a ready army of foot-soldiers to carry out its horrendous agenda would continue. We also have considerable structural challenges that militate against democracy. For example, there is a North-South divide that drives ongoing struggles for access to political goods, including the proceeds from the natural resources produced by Nigeria. Complicating that struggle is the Christian-Muslim divide, the sectarian divides among Muslims, the rampant and grinding poverty of the masses of Nigerians, which is more extreme in the North, the mass unemployment of even educated youth throughout the country, inadequate and atrociously barren educational opportunities of the children of the poor, lack of social welfare for the teeming masses. Increasingly, there is a refusal to accept this as a perpetual fate of the poor. Despite the rain, we pressed on. As a democratic country, we should not only value equality at the polls, we should embrace institutional solutions that provide safety nets and welfare benefits to the poor. Education is one of the most important equalizers. Our country should commit to living up to its pledge of the Education for All (EFA) by 2015, although we are almost halfway to the end of the year and according to UNESCO, 10.5 million children of primary school age are out of school in Nigeria. Let’s bear in mind that EFA is about primary education, and the situation is even more serious for secondary and tertiary education. 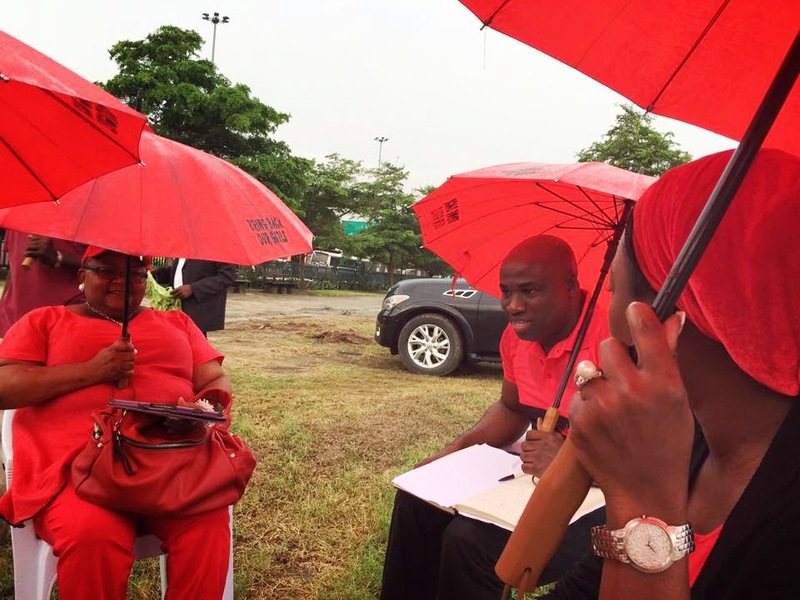 Let’s also remember that our Chibok girls were in school, preparing for an exam when they were abducted. Let’s bear in mind that even when educated, without connections, a Nigerian may not secure employment. When employed, as our Finance Minister, Dr. Ngozi Okonjo Iweala tells us, most of our youths are underemployed, but worse still, their earnings may not be sufficient for them to make ends meet. If the government and political system seems to be unwilling or unable to solve the problem, disillusioned and desperate citizens may seek other solutions that are damaging to social and political well-being. Boko Haram should also be seen in this light. Education and the provision of equal opportunity are crucial elements in this fight against such extremism. Moreover, a well-educated citizenry is an asset to a country that wants to compete in our rapidly changing world. Unfortunately, many Nigerians seem to be comfortable with the gross inequities and stark inequality that is writ large in our society. This includes people who have only recently escaped poverty and never want to see it again. Many of us want to distance ourselves from the poor. Many of our clergy are exploitative and manipulative in their interpretations of their religion’s tenets. The tendency seems to be to favor the wealthy, and encourage them to spend their too often ill-gotten resources with wanton disregard for the plight of the struggling masses. There is also a drive to push the poor to give more than they can afford in hopes of securing favors from God. 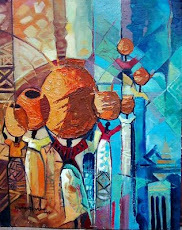 We have a prominent and highly visible class of nouveau riche in Nigeria. 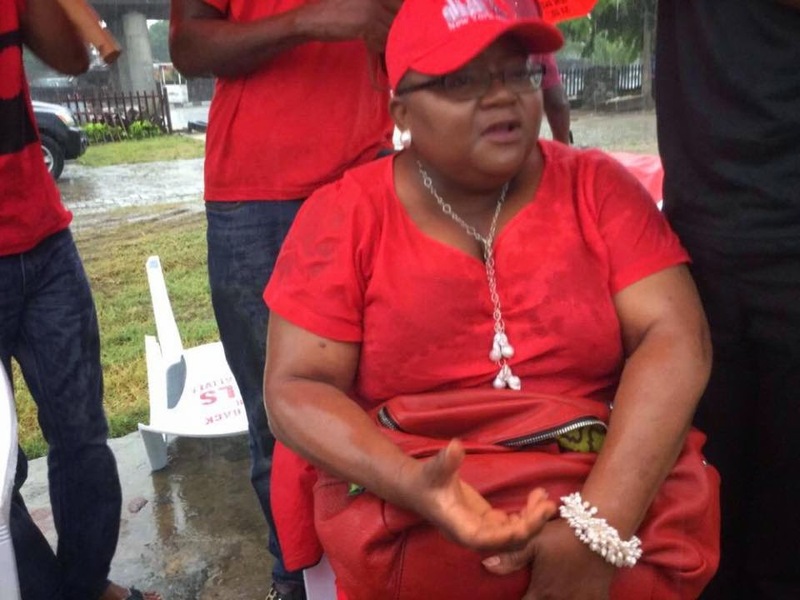 It includes the Nollywood and oil magnates as well as the political class. Although some make feeble gestures toward philanthropy, many are blatantly uncaring about the poor and oblivious to their needs. Many want to see Boko Haram as a limited problem—affecting only the northeast. For a long time, there was a refusal to go beyond the very limited comfort level of this class because it would rather see Boko Haram as a problem political enemies who would rather not have a replay of a Jonathan administration. Rather than swiftly deal with the insurgency and defuse the situation by attacking its underlying causes, the Federal Government of Nigeria embraced policies that didn’t work, while Boko Haram waxed strong and boldly declared a Caliphate, later declaring allegiance to ISIS. The election was a blessing in disguise because without it, the Goodluck Jonathan administration would probably not have taken the fight to Boko Haram. That we are seeing such extraordinary feats as the rescue of hundreds of Nigerians is something to be celebrated. We should also contemplate the implications of waiting so long and doing so little, and what this means in terms of lives lost, destroyed and dislocated. We should think in terms of implications for Nigeria’s territorial integrity and sovereignty. We should think of the constitutional obligations of government to citizens. I see #BringBackOurGirls as making a statement that all these things matter, and should be a part of our Nigerian democracy. Another implication of Boko Haram’s violent reign of terror being unchecked in any appreciable way by the Nigerian government is that it produced a humanitarian crisis of immense proportions. At least 3 million people have been displaced by this violence. Millions have also escaped from affected areas to neighboring countries. They are in dire straits and the response by NEMA and the various SEMA remains inadequate. The inability of the Nigerian state to check Boko Haram, (which by the way, is not the first insurgent movement in the area, having been preceded most recently by the Maitatsine millenarian movement in the 1980s), is at the heart of the unfolding humanitarian crisis. Let’s be clear, Boko Haram may bear some resemblance to Maitatsine, but it is also different from it and from similar millenarian movements. For one thing, it has superior weaponry, and what appears to be more sophisticated strategies. For another, its aims appear to be grander and its attacks on civilians also appear to be unprecedented both in scale and ferocity. As the humanitarian crisis continues to unfold, there is devastating disruption of everyday life for those affected, and the tendency of the wealthy to distance themselves from the plight of the poor means that many in close proximity to the affected areas also do not see this crisis as their problem. It is seen as the problem of the vulnerable poor. The farther the distance of the wealthy to the epicenter of the Boko Haram controlled zone, the more their blasé attitude and determination to carry on business as usual. Nigerians should be ashamed! Even so, there is a possibility of redemption if we all gird our loins and engage the struggle of making sure that we rescue all those beset by Boko Haram predators, and by so doing, begin to rescue Nigeria from the serious structural flaws that are most damaging to the body politic. The state governments in the Northeast of Nigeria where Boko Haram has been most destructive have also succumbed to imposing “easy” solutions, such as the establishment of vigilante groups to battle Boko Haram. Regardless of the success of the vigilantes, it is difficult to see the groups as advantageous to the corporate integrity of the state. Vigilantes are not legally constituted entities. They may be seen by pragmatic people as a stop-gap but they challenge the very existence of the state because they are in essence an admission that the state has failed. Let’s find long term solutions to our security problems in Nigeria. Let’s institutionalize those solutions and thereby deepen our commitment to social democracy. Being the largest economy in Africa is well and good, but the collapse of the international petroleum market shows us the limits of our economic power. We also are paradoxically in the throes of a shortage of petroleum products and many of the cars and generators we all depend on are taking a break that we all find inconvenient and annoying. In addition, “largest economy” means nothing if there is no peace and security, if majority of Nigerians are still scrabbling in the dirt for their day to day sustenance, if Nigeria’s communications infrastructure is at best inadequate, at worst, decrepit and decayed; if the educational system is full of substandard institutions that are poorly funded and neglected because the children of the wealthy and upper middle class have alternatives, often in the best institutions of the United States and other Western countries. It is at the very least, most unseemly that the majority of the citizens of a country as wealthy as Nigeria are in the dire straits that have become their norm. Growing into the true manifestation of the largest economy in Africa means Nigeria begins to take care of ALL its people. Since there’s no existing culture of doing this in a serious way, doing it well will be challenging, but it’s not impossible. The inability thus far to defeat and invalidate Boko Haram means that Nigeria’s National Security is at stake. So is Human Security (physical, material, psychological and emotional security); which is a crucial element of the integrity of the state, and therefore inseparable from national security. The inability to guarantee either National or Human Security all over Nigeria is great cause for concern. The ability of any insurgent forces to prevent Nigerians in any region of the country from enjoying human security should be seen as unacceptable by the state, which should have put an end to the problem in short order. Instead, the Nigerian state presented a disorganized, inefficient, inept response and allowed Boko Haram to become a greater menace until the last general elections, which were postponed for six weeks, ostensibly to fight Boko Haram. #BringBackOurGirls is a clarion call that the largest economy in Africa and the most populous country in the continent do its job and rescue the abducted Nigerian girls, boys, women and men from Boko Haram, and foreground the human security of its citizens in order to rescue its tattered reputation and restore its respectability in the comity of nations. Nigerian activists and scholars should be concerned about the problem of human security in West Africa, Boko Haram’s role in catalyzing the crisis of the African state, and the tragic consequences for Nigeria’s teeming masses as well as their West African neighbors. They should participate in suggesting solutions that prioritize the rescue of the Nigerian girls, women, boys and men as well as make actionable suggestions on how to address the unfolding humanitarian crisis. They should also suggest long term solutions to the crisis of development in Nigeria and its West African neighbors. 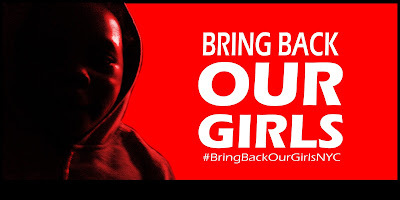 #BringBackOurGirls has been steadfast in raising awareness on the heartrending and tragic matter of the Boko Haram abductions. 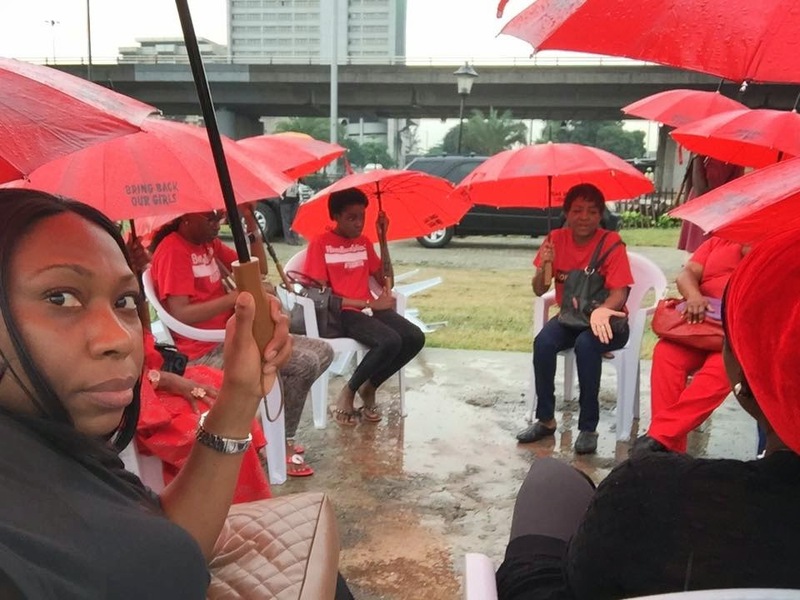 We continue to ask the Nigerian government and its armed forces and the International Community to take additional action to #BringBackOurGirls. We also call on the Nigerian government to keep Nigerian children and citizens safe in their respective schools in the Northeast and all over Nigeria. We hope for a brighter future in which we will all be secure from violence. We also hope for a future where the bloodshed and abduction of children throughout the northeast and other parts of Nigeria would stop. 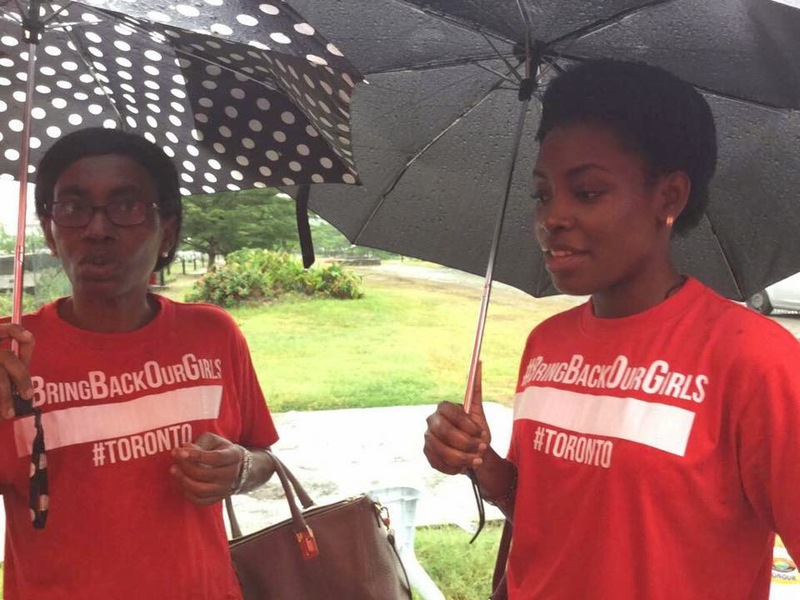 We have resolved to continue to rally to bring attention to this matter until our girls are brought back and reunited with their families. Democracy is not a spectator sport. The Bring Back Our Girls movement has demonstrated this clearly. 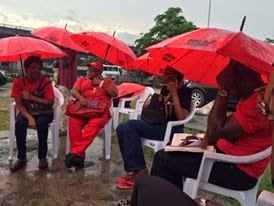 Gathering peacefully with like-minded people to bring attention to this cause and calling upon the government of Nigeria to fulfill its constitutional mandate to protect all Nigerians and offer them security in their lives and property is an exercise of freedom of assembly and freedom of association. Asking the government to inform citizens of what it is doing to find and rescue our abducted fellow citizens and how it is doing it is a call for accountability and transparency. Insisting on the exercise of these rights is a call for the rule of law. There is no question that standing up for a cause like this constitutes democracy in action. 404 days after the Chibok girls’ abduction, I thank you from the bottom of my heart for your commitment to creating a more democratic Nigeria where we are all valued and secure in our persons, property and consciousness. God bless you all.